12 months & up. Constructed of lightweight molded polyethylene and completely waterproof, this bench can be used indoors or outdoors! Bench has rounded edges and can be flipped over to become a 15" high table. Bench has seat heights of 7 1/2" or 10" and measures 15" x 30". Can also be used for adult seating. Constructed of lightweight molded polyethylene and completely waterproof. This bench can be used indoors or outdoors! 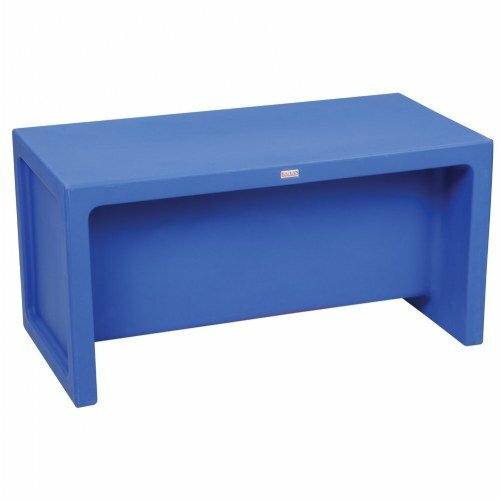 Bench has rounded edges and can be flipped over to become a 15" high table. Bench has seat heights of 7 1/2" or 10" and measures 15" x 30". Can also be used for adult seating.